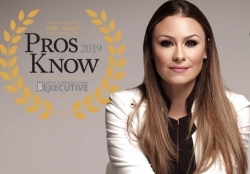 Sheri Hinish was recognized as a 2019 “Pro to Know” by Supply & Demand Chain Executive for outstanding leadership in supply chain that stood out among her peers. She will be included in this year's March 2019 edition under the Supply Chain Queen brand. Columbia, MD, March 02, 2019 --(PR.com)-- Sheri Hinish, also known as the SupplyChainQueen® by clients and colleagues, has been named a 2019 Pro to Know by Supply & Demand Chain Executive magazine. The Pros to Know Awards recognize supply chain executives, and manufacturing and non-manufacturing enterprises, that are leading initiatives to help prepare their companies’ supply chains for the significant challenges of today’s business climate. This year’s list includes more than 200 individuals from software firms and service providers, consultancies or academia, who helped their supply chain, clients or the supply chain community at large, prepare to meet these challenges - and more than 40 Practitioner Pros, who do the same within their own companies. Supply & Demand Chain Executive received more than 500 entries for the 2019 Pros to Know Awards. This year’s list includes more than 200 individuals from software firms and service providers, consultancies or academia, who helped their supply chain clients, or the supply chain community at large, prepare to meet these challenges - and more than 40 Practitioner Pros, who do the same within their own companies. Check out Supply & Demand Chain Executive’s website at www.sdcexec.com for the full list of all of the 2019 Pros to Know and Practitioner Pros winners.